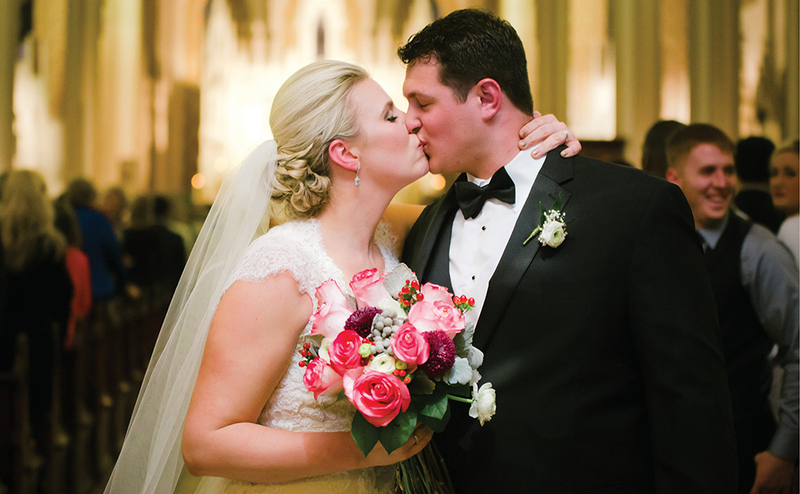 A never-done-before venue and an unexpected choice of music made this couple’s wedding a one-of-a-kind event. 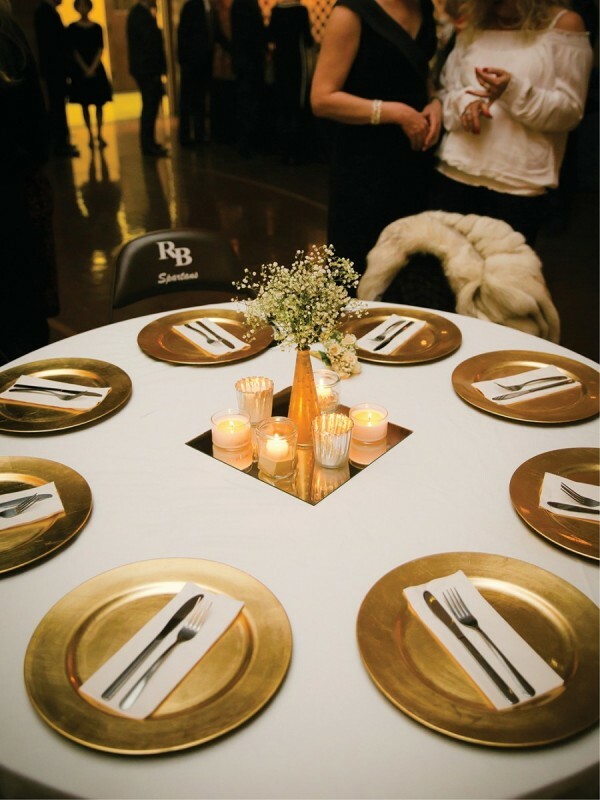 Having the 237-guest reception in the auditorium of Roger Bacon High School—Alyssa’s alma mater and where she is currently employed as assistant director of admissions—was the perfect place to start. “It’s a beautiful space that no one had ever done a wedding in before,” she says. 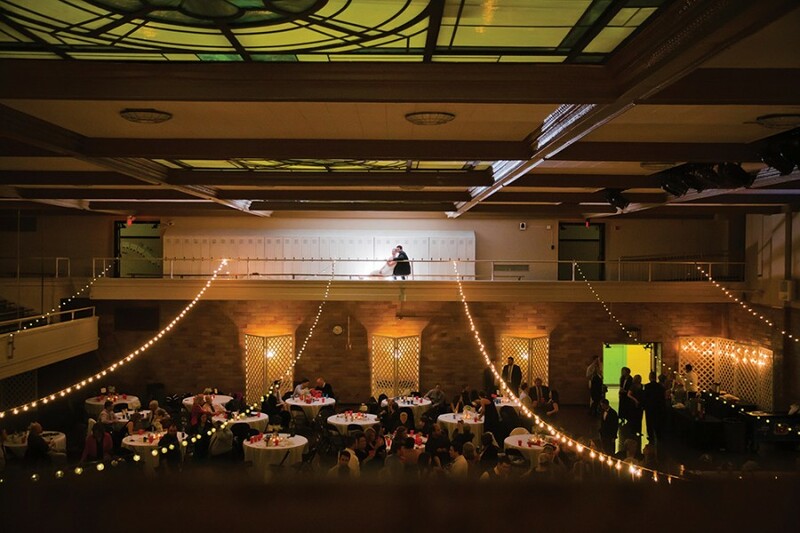 String lights dangled over the dance floor and clusters of candles gave the space a warm glow. Bundles of baby’s breath were used as bouquets and centerpieces, a charming nod to snowballs for the February wedding. Gold chargers and gold flower vases gave the room an elegant touch, but canned Bud Light and red Solo cups kept the vibe down-to-earth. It was festive but not frilly, lovely yet low-key. In lieu of a traditional band or DJ, Alyssa and Joe opted for dueling pianos as the evening’s entertainment, which was a surprisingly affordable choice. “They played everything from classical music to modern-day pop,” Joe says, noting that the pianists happily took guests’ requests. “So many people danced at the wedding.” During their ceremony at St. Francis de Sales Parish, a string quartet played a nontraditional lineup that included “I See the Light” from Disney’s Tangled and “Feather Theme” from the Forrest Gump soundtrack. 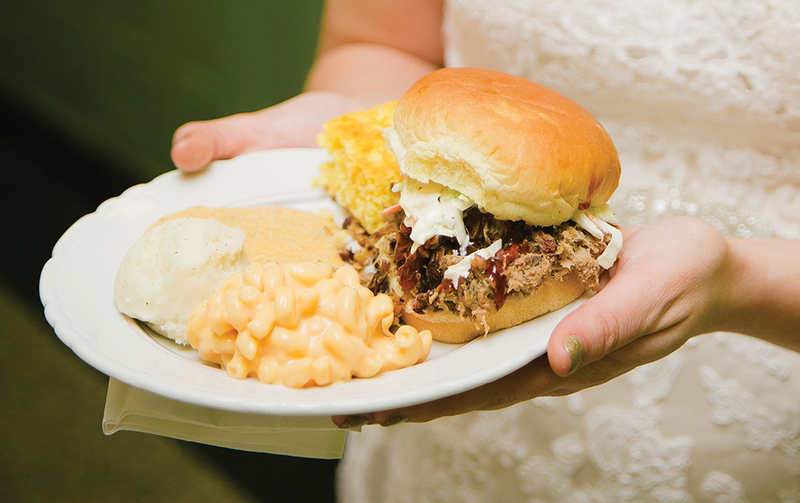 Guests were served Eli’s BBQ for dinner, complete with all the sides and fixings. 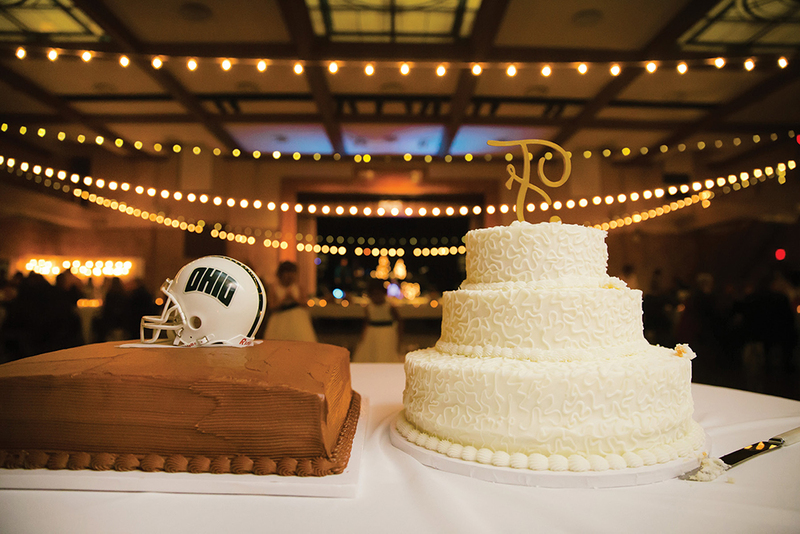 In addition to a gorgeous white wedding cake, Joe was also presented with a chocolate-on-chocolate groom’s cake that paid tribute to his football career at Ohio University. To honor Alyssa’s late father, who passed away in 2004, her mom sewed his initials into Alyssa’s veil, which she hand made. On the back of her shoes, Alyssa pasted pictures of her father and uncle, who had passed away the December prior. 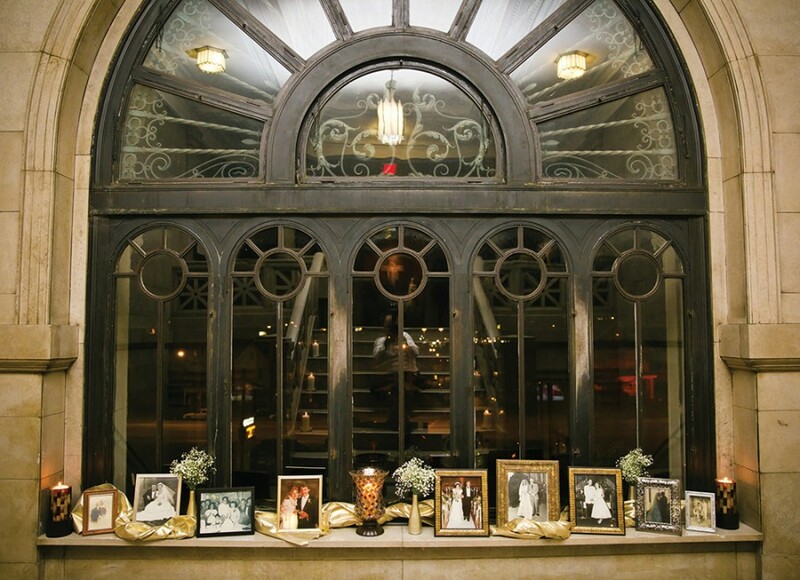 Other members of the two families were represented in a display of family wedding photos.